For the purpose of this episode, Corruption can be defined as a lack of integrity or honesty (especially susceptibility to bribery); or the use of a position of trust for dishonest personal or group gain. 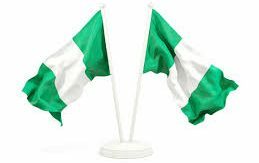 The country Nigeria has been defined in previous blog episodes with the last episode (5) adding the bio-metric detail of a face to our noble nation. Just like the word Country, the word Corruption is an abstract concept which is only given boldness, effect and strength of consequence by any being that lacks a character of integrity. The soul or life of Corruption is driven by human beings clear and simple. The negative consequence of Corruption knows no religious, ethnic, or political bias; it simply ravages everything within its range including countries! The Nigerian nation has been locked in a fierce battle with Corruption for decades now. This is evident when the effect of the strength of its very negative consequence can be observed within the static nature of national development in our country for decades; the complaints across board in every sphere of the Nigerian society from time immemorial till today. Unemployment statistics are in sky-high figures; Nigerian citizens are braving extreme odds in desperate attempts at migrating to greener havens in foreign lands; strike threats and actions are a frequent order of the day; some citizens are complaining of outright hunger and an inability to feed at minimal daily frequency, the list is endless. So it will be safe to assume that since the fight started between Nigeria and Corruption, the latter has made good progress, and is currently in good lead on points. Nigeria on the other hand when the encounter ensued erroneously, assumed it was a play-fight, and seemed very confident that corruption was no match for it, therefore there was no need to hit back, evade its punches, or at the very least have a good getaway plan on time. With the foresight of today Nigeria would have definitely done things differently. The current situation is so terrible that the country Nigeria is lying in a daze from the severe beatings received by Corruption. Nigeria can barely move, and is fast loosing the confidence of great admirers who span the length and breadth of this planet Earth, repeatedly showing support with aids, visits, you name it, and they’ve done it. Our Independence Day of 1st October 1960, was gracefully attended by the Her Royal Majesty, the Great Queen Elizabeth II of the United Kingdom, in the lead company of other eminent members of the modern British Monarch, in addition to other foreign dignitaries. I believe this action was intended to send a resoundingly strong message of encouragement and support for the project Nigeria, to all and sundry. Currently, and previously, several attempts have been made by Nigeria to fight back however it’s a ferocious onslaught of frightening magnitude by Corruption. The amazing fact through this drama remains that Nigeria appears not ready to give up the fight, and this resilience is infuriating the heartless Corruption who does not even realize that good sportsmanship should have demanded for reprieve for the opponent. The fact ought to be very clear to all and sundry that this is not a game anymore. Corruption has come with the profile of a death-match to a friendly encounter and this was not the understanding with Nigeria at the onset. Nigeria would need to take drastic measures to survive this encounter and this is the reason every single Patriot left in the country would need to rise up to the call of the National Anthem. Every single Patriot would need the motivation of the national pledge engraved in their spirit to fire up their morale. It has become a non negotiable reality of fact, that Nigeria must resoundingly win this encounter. However, this is not a physical battle, it a battle of concepts; with subtle and peculiar attributes. It is a battle that requires our collective encouragement of any patriotic attempt of any citizen to put up a fight against any form of ignoble unpatriotic action from any other citizen. The first step would be to put a face(s) on the concept called Corruption, and this should aid the Patriots to identify it when they see it. There is no attribute of Corruption which represents in any form, the morale undertone of any line in the national Pledge; so definitely a corrupt culprit cannot be a Nigerian patriot. A Nigerian patriot would always protect the interest of the Nigerian nation. It could possibly be a person from another nationality, which is fair thinking since their allegiance would most definitely be to their own country. However, since we are all aware that our government institutions and individual or group endeavors are not majorly driven by foreigners, there would be no need to look in that direction, besides no national creed of any well meaning foreign nation would be so empty of morale content to incite such decadent behavior. Corruption in Nigeria has been given life by citizens who engage in unpatriotic actions regardless the frequency or magnitude of such actions. The God given conscience in each of us will bear witness to this truth by a cursory observation of actions of a majority of the citizens within the immediate environment. We sincerely do not need to look far for the culprits. It is becoming clearer that we can say the fight between Nigeria and Corruption is literally a fight between the patriotic citizens of the country and their non patriotic siblings, between noble actions of patriotism and ignoble counter actions with no patriotic undertone. The boundaries of patriotism are not limited by lines of immediate or extended Family, Religion, Tribalism, or political sentiments, neither the boundaries of the devastation of corruption. In order to guarantee a sure win, the mentality of the Patriot should equally bear no sentiments of such dimensions. Therefore it should be safe for a sane mind to assume that we ought not to stand arms akimbo whilst a summation of unpatriotic actions destroys our country, and the future of our generations to come. A collective patriotic response in counter measure does not call for a single blow; a whisper of violence; extending a drop of Hatred; or indeed any other action that lacks noble patriotic finesse. This skill we can all learn by understudying the life of the Great Nelson Mandela of South Africa. The spread of activities molded behind thoughts with the dark tint of corruption is virtually in every sphere of the Nigerian society. Granted, it may have started within the leadership class of the country, but currently It is not only found within the leadership or political class in the country. It actually exists right inside our homes, our organizations, our schools, our hospitals, on our roads, in our markets, our businesses, at work, at play, virtually everywhere! The fight cannot be left to a single individual or group; it must be fought by every single Nigerian Citizen. I am certain that if we could all collectively engrave the message of the national pledge in our spirit, in thought, in word and indeed, the current fight between Nigeria and Corruption would be an easier walk in the park for the country Nigeria. Bearing in mind that the present Nigerian narrative regarding corruption, has spanned decades of our collective neglect for our nation, reversing the current trend would require a process of consistent continuity across very thread that defines the fabric of the Nigerian society. It should be a synchronous process spanning the dynamic pinnacle of leadership, to crannies of our homes. It would not be a process with overnight success; however, it is guaranteed to yield positive results on the long run. It would require the strong armor of patience and maturity on the body of all of Nigeria’s finest Patriots; You and I inclusive. In conclusion, it would certainly be very correct and best for us to collectively muster the Will to act, in order to continue with our determined walk of necessity toward the dream Nigeria; pounding the lethal enemy of our great Nation: Corruption, to smithereens. 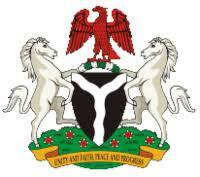 A stitch in time as wisely recommended, definitely and surely saves nine: Arise O Compatriots…!! !